With this mix you can try all the strains included in the Philosopher Seeds’ Classic Line - except Early Maroc - in a very affordable way. In this mix you'll find flavours reminiscent of Old School varieties. All the strains included in this mix are resistant and easy to grow. 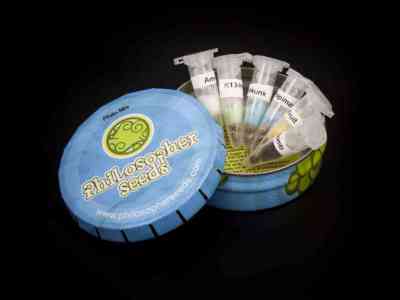 You can easily identify each strain in all Philosopher Seeds’ mixes thanks to the corresponding labels.